You can buy bookends or better yet make your own unique set to fit in with your decor. This is a guide about making bookends. Cover bricks with fabric or wallpaper to make attractive bookends. Those shelf-sitter statues like angels, cherubs, and frogs can easily be used as bookends for a fun look. 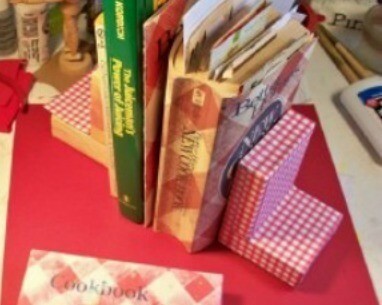 This is a guide about making recycled tile bookends. 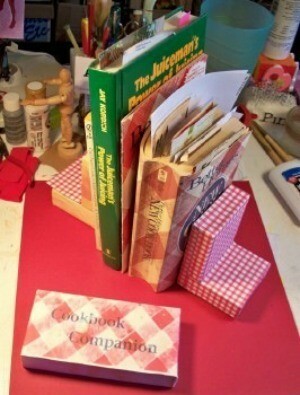 Using either new or leftover wall tiles, you can make a cute and inexpensive set of bookends.